One of the benconservato's cheery monster Goccos! So cute, and so affordable, this print is from a limited edition of only 36. It features hand painted detail, is on lovely acid-free kraft, and is signed, dated and numbered by the artist. Emma Kidd brings intriguing characters to life in her original artworks, goccos, postcards & prints. She has an incredible portfolio and we are thrilled to offer a selection of her works for sale. 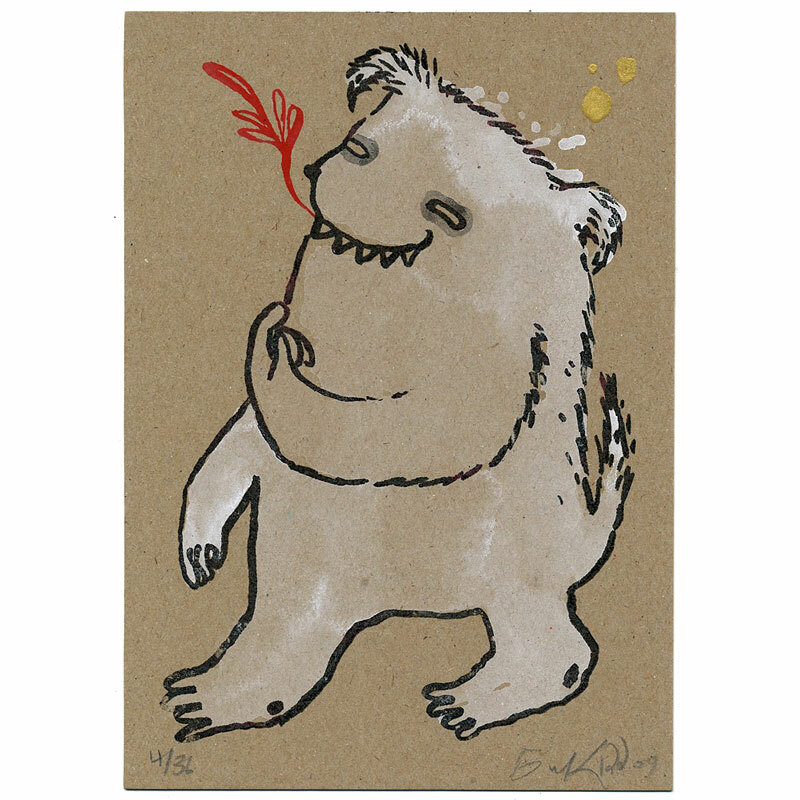 In many of her pieces, we see portraits of monsters - curious & playful, strange & shy, such as the Bear Monster in this Gocco print. At other times, we see characters in their environments - different imaginings of the natural world, or darker, more sinister spaces where twisted tales are unfolding. This listing is for the Bear Monster Handpainted Gocco only. His friends, as shown in the second image, are not included (but are also available from indie art & design!)... They do like to hang out together, and are well suited, being of similar size and style.